Pour the wet ingredient mixture over the dry ingredients and stir with a large wooden spoon until well-combined. 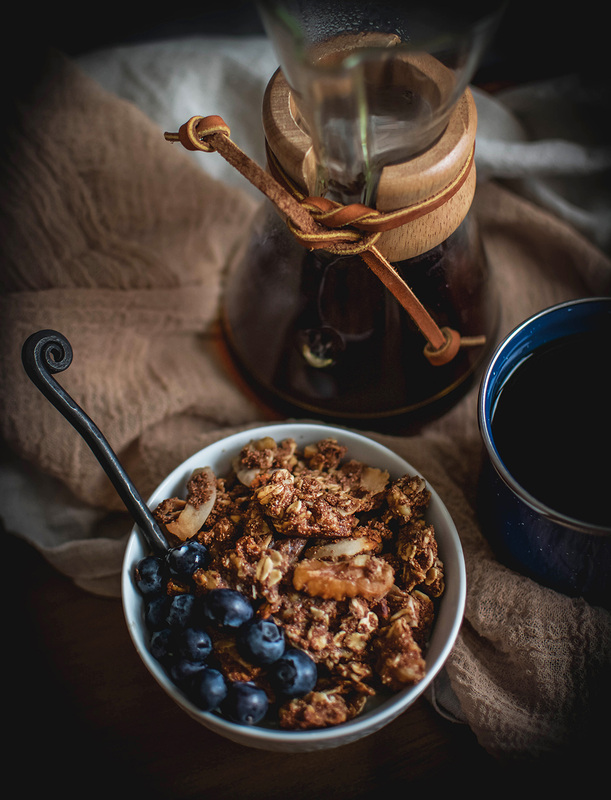 Place the granola mixture onto the rimmed baking sheet and use the spoon to press it down into a relatively uniform layer about ¼-1/2 inch thick. When cool, store in an airtight container in the refrigerator for up to a week.